Spread 1 1/2 cup BBQ pork on each crust. 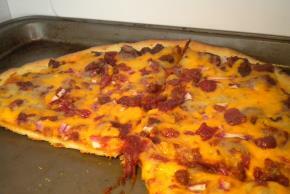 (Divide evenly) Top each pizza with cheese, then bacon & onions. Bake on oven rack for 8-11 minutes.